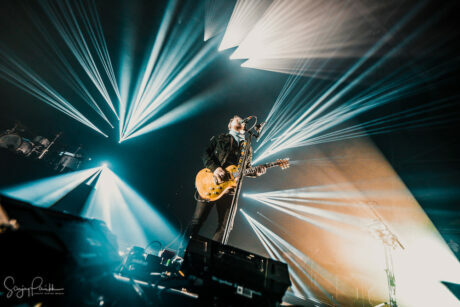 USA – Shinedown’s Attention Attention world tour features large complements of Ayrton GHIBLI LED spot luminaires, grandMA2 consoles and ChainMaster hoists. 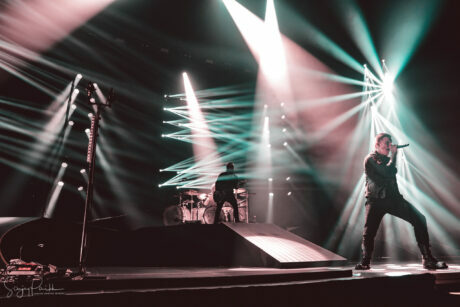 The Attention Attention world tour supports Shinedown’s eponymous sixth studio album. 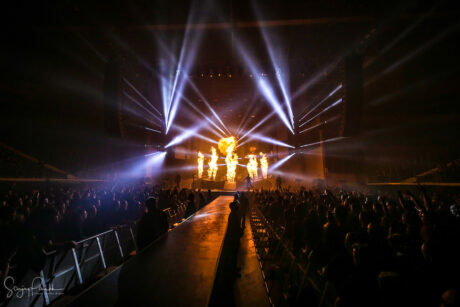 The tour kicked off in October 2018 in the American west, played legs in Europe and Russia then resumed US dates in February. Attention Attention had a fast turnaround. “From our initial meeting to the first day of rehearsals was just three weeks,” says Vollhoffer. Shinedown asked for three different concepts from three different designers based on such key objectives as perspective, dimension, asymmetry and dynamics. Vollhoffer pitched three designs, and Cort Lawrence’s stood out to the band. The Denver-based Production Designer used an exclamation point motif prompted by the tour and album’s emphatic name. “It accomplished their key objectives and added a new look to their latest album brand with the exclamation points, which was something neat to incorporate on a large scale,” says Lawrence. 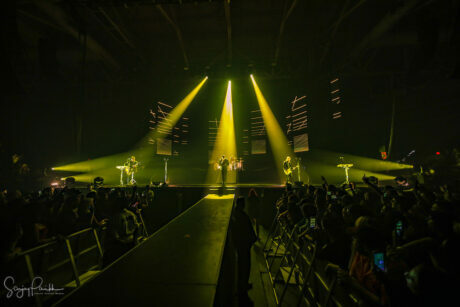 Ten LED video screens and five lighting torms formed stylized exclamation point shapes as a backdrop for the band; three lighting trusses were overhead. After the design was selected Lawrence continued to focus on the creative with his programmer Mitchell Schellenger of Station Six Creative while Premier Global built the rig. A full-size grandMA2 console ran video and lighting for the show with a grandMA2 Light on hand for backup. “It’s our go-to console. We can create new and unique looks quickly with the grandMA2, and this was a quick turnaround show,” notes Lawrence. For the Attention Attention tour Joshua Dirks was the Crew Chief and Joseph Herring and Andrean McDonald the Lighting Technicians. Bobby Hewitt was the content creator. ACT Lighting is the distributor for Ayrton, Chainmaster and MA Lighting control in the USA.